This pairing of José Rodríguez-Soltero’s lavish “Lupe” and Ron Rice’s landmark psychedelic masterpiece “Chumlum” features two of the most accomplished uses of superimposition in underground film, transporting drag glamour into a profoundly hallucinatory dimension. “Lupe” is a visually stunning celebration of the life and death of Mexican Hollywood star Lupe Velez. In this ecstatic explosion of color, costume, music, camp performance and multiple superimpositions, José Rodríguez-Soltero drew inspiration from new wave and experimental film, Latin American pop and classical music, trash culture, experimental theatre and Kenneth Anger’s exposé Hollywood Babylon. “Lupe” is also a love poem to the underground star Mario Montez who designed his own sensational costumes and took immense cultist pleasure in identifying with the tragic Latino star. Before his untimely death in Mexico in 1964, Ron Rice was among the most charismatic figures of the New York underground. His “Chumlum” is beautifully disconcerting. 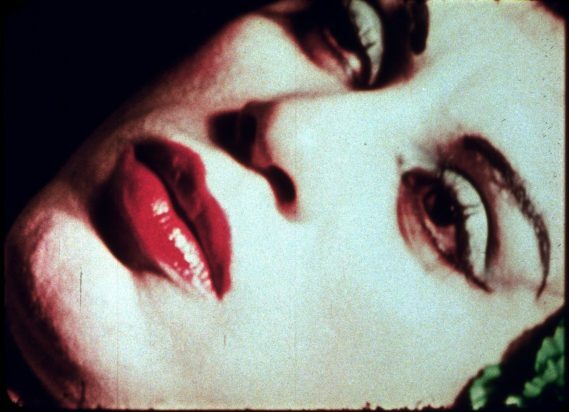 Intricate superimpositions mix in- and outdoor milieus and the capers of a colorful gaggle, which includes Jack Smith and Mario Montez as they loll about, pursue, and listlessly fondle each other in a riot of costume and color. Experimental musician (and Velvet Underground drop-out) Angus MacLise composed the spacey soundtrack. USA 1966. Dir. José Rodríguez-Soltero. With Mario Montez. Costumes by Mario Montez. 50m, 16mm. USA 1964. Dir. Ron Rice. With Jack Smith, Beverly Grant, Mario Montez, Joel Markman, Frances Francine, Gerard Malanga. 26m, 16mm.